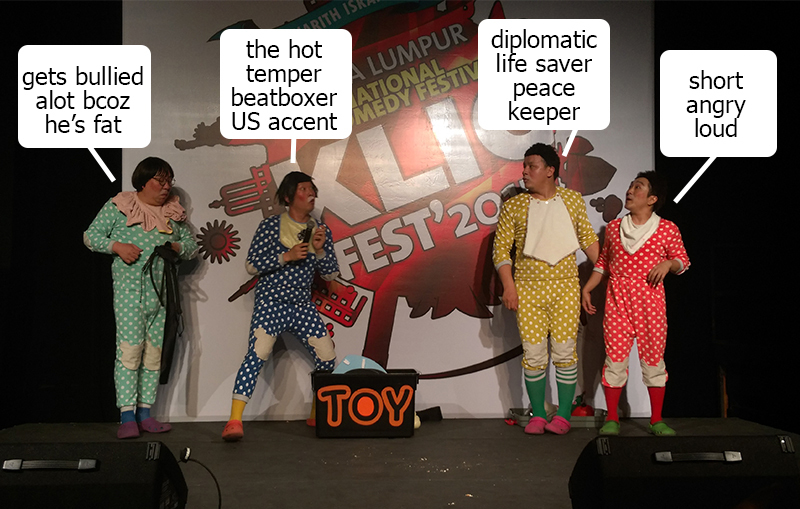 If you're a fan of stand up comedy be sure to catch the KL Comedy Festival this weekend by buying tickets from TicketPro. You can also get day passes which enables you to catch a day's shows (anywhere listed anytime) from Kuala Lumupur International Comedy Festival (KLICFest) FB page. The shows would be held at Black Box (Publika), White Box (Publika),The Bee (Jaya One), Crackhouse Comedy Club (TTDI), Manhattan Ballroom, Berjaya Hotel (KL) from 16th Sept - 23rd Sept, 2015. Don't miss it! Guarantee to make you laugh like hell. Thanks to Shireen from Sugar & Spice Communications, I got to know all about this during the press conference and was super excited to catch the shows. Then thanks to a friend Christopher Tock, he got me a media pass to watch the Ong-Als from Korea on Day 2 at Black Box, Publika. I wasn't keen to watch any anyone other than Paul Ogata but was curious about how Ong-Als would fair in terms of their non-verbal performance as Korea's Best Comedy group. Sure enough, from the moment I sat down till the moment the curtain closes, I was laughing non-stop at the antics from Ong-Als. 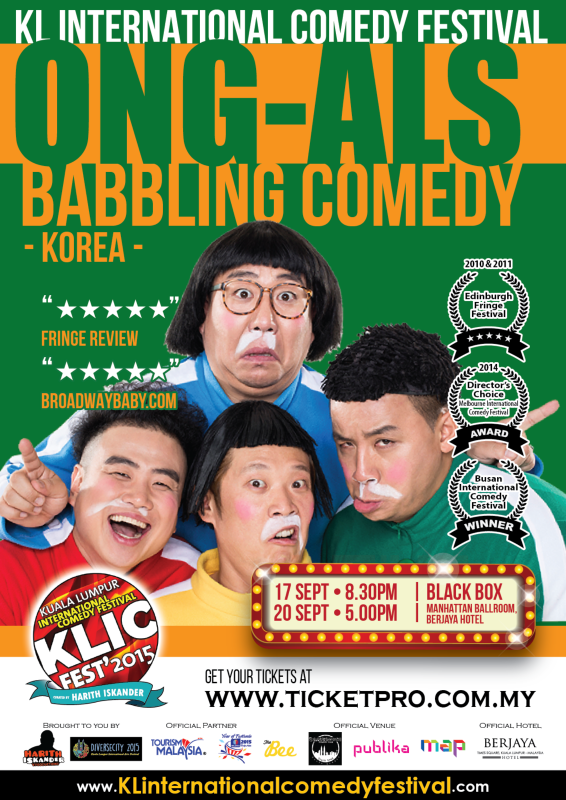 No wonder they're dubbed Korea's Best Comedy and Harith Iskandar says they would become super famous, we're so lucky to have catch them in Kuala Lumpur performing for the first time ever. Ong-Als did not do any jokes at all (Ong-Als means babbling in Korean). They didn't really use any language as well but we could all understand them from their mimes and acts. Very expressive, very funny, and entertaining at the same time. They were baby babblers, dressed like giant babies each with their own personalities. The most surprising act was having their own beatboxer adding disco, music and sound effects to their circus performances!. It was DAM BEST in my opinion. Don't miss their next and last show at Berjaya Times Square this Sunday at 5pm. You will laugh for sure! Here's some pictures and a couple of videos to show you what you're missing out on. a groupie with the Ong-Als for memories! it is! I hope u get well soon so you can catch them! Really i appreciate the effort you made to share the knowledge. This is really a great stuff for sharing. Thanks for sharing.